The trachea is a complex and dynamic structure. There are a number of both benign and malignant diseases that can alter the trachea endoluminally, extraluminally, and the actual wall itself. Specifically, benign tracheal stenosis, developing due to the use of prolonged artificial airways, is a growing disease entity that results in substantial symptoms of shortness of breath and can also become an obstacle to complete decannulation of tracheostomy. T-tubes may serve to bridge a patient to definitive surgical treatment, complement surgical intervention in the postoperative period to enhance wound healing, and be the definitive therapy in patients who are not able to safely undergo surgical intervention. There are now many varieties of T-tubes available to custom fit for individual patients. There are also a number of techniques by which to place them. This procedure is one that can be shared by both the interventional pulmonologist and the otolaryngologist. 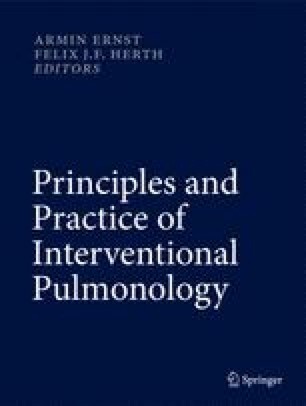 Knowledge of indications, contraindications, limits, advantages regarding T-tubes, as well as technique of placement and removal allows the physician the ability to offer patients with proximal tracheal disease an option that may benefit quality of life while providing a more optimal airway.